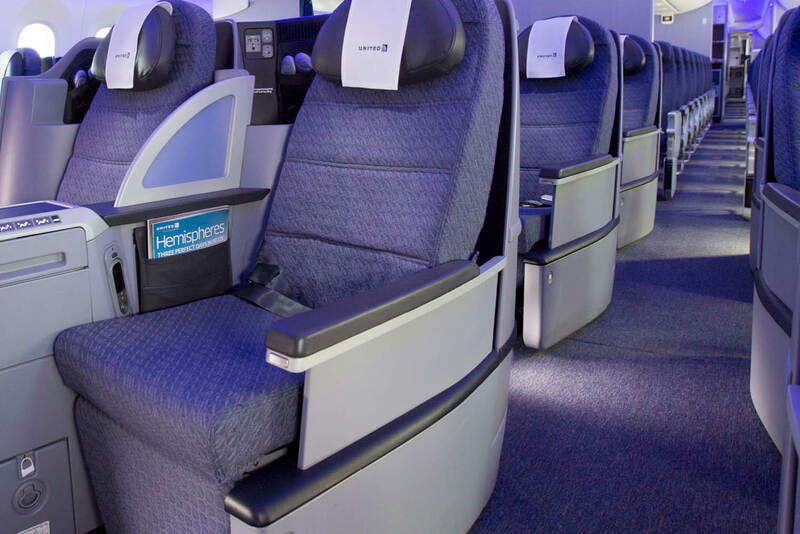 We review United Airlines Business Class; from the seat to the meal. Quentin Long test drives business class on United Airlines’ Boeing 787-9 Dreamliner – the world’s newest aircraft with claims to be the most comfortable for fliers – to see if the promises are actually kept. With a heap of new capital and the newest aircraft in the world, United seems to be on the way up. But that hasn’t stopped seasoned travellers turning their ultra-critical sniping, once reserved for Qantas, to all North American carriers including United. So with a sense of curiosity I checked into a United Polaris business class seat bound for LA. Was this reputation for sloppy service and poor ‘hardware’ deserved? Well, as it turned out, it was not quite Polaris as the new seats have not been deployed on the Australian routes yet (not yet confirmed, this is expected to happen before the beginning of 2020). But the amenities and service have been upgraded to the Polaris standard. “You have a choice of lounges, either Singapore Airlines or Air New Zealand”, the check-in assistant tells me. “Air NZ has better coffee and food” I am told when I ask for advice. So, an unexpected perk – two lounges for the price of one. Air NZ’s Sydney lounge is relatively new and pleasant. My colleagues and friends think I am sick as I love flying business because I can get so much work done. Sure the space and flatbed are great for ensuring you can work when you arrive at your destination and don’t turn up a lobotomised shell of a human being. For me it’s the cocoon of comfort, privacy and a lack of distractions that I crave to get loads of work done. So sliding into 2B, the first thing I notice is that I could do with a little more space for the change of clothes, laptop, books, notepad, phone, pens, headphones, medications and other accoutrements that spring Mary Poppins-like from my carry on. When I spy someone wearing United PJs I go searching for mine (I love a pair of airline jim jams). The task of shoving and jamming all my work-flight accessories is made more complex by the extensive Polaris accessories: a Saks Fifth Avenue quilted bed cover, two pillows (one a substantial memory foam), a blanket, amenity bag and slippers need to find their own homes alongside my stuff. I get it all sorted but feel for my mate in 2A. The seat alignment means we are fairly close and I have been playing a game of catch, making sure that my objects do not fall onto his side of the barrier or shared arm rest. Settled with all objects securely stashed and resplendent in my oversized PJs, I can relax. To avoid the worst effects of jet lag I put the laptop away with six hours of flight time left. I want to arrive with some small hope of getting through a full day in LA without pause for a nanna nap. The Saks ‘mattress cushion’ is rolled out and smoothed over the now-flat bed. The memory foam pillow is arranged with the fairy-floss-like second pillow. Eye mask on and ear plugs from the amenity kit in, I snuggle under the blanket and sleep without trouble. The bedding does make the seat feel more like my feather-top at home than any other air seat I have experienced (Air New Zealand comes close). The slumber is in fact so deep that I miss breakfast and with 40 minutes to touchdown, arise from my rest with just enough time for a tea. I follow pretty much the same routine on all front-of-the-plane flights. The meal will be served in an hour from take-off so that’s the entertainment segment of the journey. Once the food is cleared it’s time to use the joyous solitude for work. The movie choices are, as you would expect, organised by genre. After embarrassing myself with mid-air weeping during Selma in 2015, I always avoid the ‘drama’ titles and head for the comedy. I would rather embarrass myself with guffaws of laughter than blubbering. Nothing tickles my funny bone so I settle for the safe, non-tear eliciting documentary The Final Year. The huge screen is great but I am a little distracted by 2A’s screen which is well within eye line and Denzel’s theatrics in The Equalizer 2 are hard to ignore compared to Barack’s languid gait. Dinner offers the classic choice of four mains. All my options are available so I don’t have to pick a reserve. It might seem weird, but a stand-out of the meal is the bread roll: not the usual brick that appears to be made from the contents of a vacuum bag mixed with pharmaceutical plaster of Paris. It is indeed a warm bread roll that feels like it has been freshly plucked from the oven. My main of seared barramundi with lemon myrtle and garlic potatoes and beans is enjoyable. The fish has retained some flavour and texture while the beans are crunchy. After dinner, I unlatch the laptop and log onto the inflight wi-fi. I am surprised that the mid-air internet speed is refreshingly quick, faster than my criminally slow home connection speed. Stepping off, it’s obvious that United (and perhaps other US carriers) are being given unfairly harsh criticism from seasoned travellers. It’s a good product that keeps pace with the world’s best. Perfectly OK; there aren’t many different positions but the most important one is flat so that’s great. The bedding, including a memory foam pillow, makes sleep remarkably comfortable. The only downsides are the lack of space, and proximity to your fellow passenger. The amenities kit is passable if basic compared to others. Toothbrush, moisturiser, lip balm, eye mask socks et al but no shaving kit, deodorant or fragrances that are provided in the very best amenity kits in the world. Good – there’s not too much incentive to explore the wines, with the standard two quality whites and two quality reds on offer. More wines are available upon request. The self-help snacking and meals at any time options keep United up to scratch with the leading business class meal services. The crew are attentive and ready to help although I did feel for them. They all seemed to be cramming lunch while boarding was taking place and I thought our attendant was going to burn her hands when placing 2A’s meal – the plate was that hot. Well, Air New Zealand does a good job.